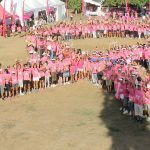 Through our properties like Pink Ribbon Walk and Pink Charities, we enable our partners to join with us and take action towards our mission of zero deaths from breast cancer. As an event sponsor your company is connected with Bali’s foremost breast cancer charity, and can actively engage with our passionate supporters and participants. 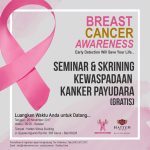 If your organization wants to support Balinese with breast cancer, a corporate donation is a great option if you don’t have a product to turn pink, or don’t want to sponsor an event. Whether you’re donating the proceeds of an in-office fundraiser, or just choosing to support the Foundation, all contributions are greatly appreciated.